My answer is: "No! But I'm looking forward to it!" 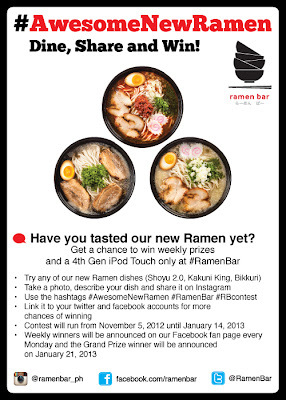 And to most of you who haven't, it's time to make our tummy happy at the same time share a photo and get the chance to win! 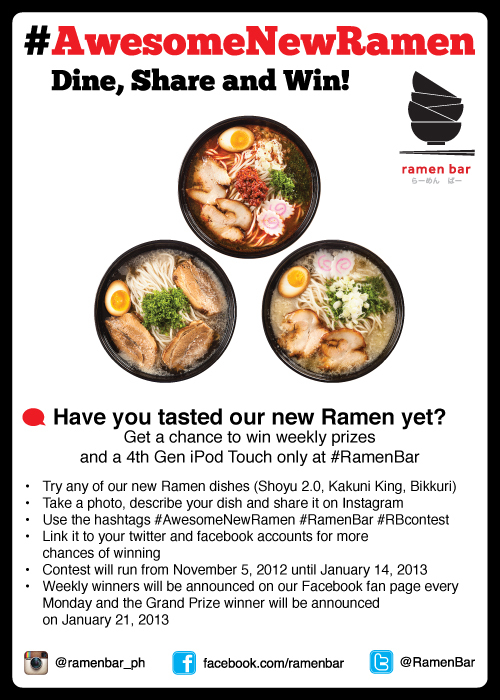 **Don't forget to LIKE Ramen Bar on Facebook, add them up on Twitter (@RamenBar) and Instagram (@ramenbar_ph) for more information about this fun contest.